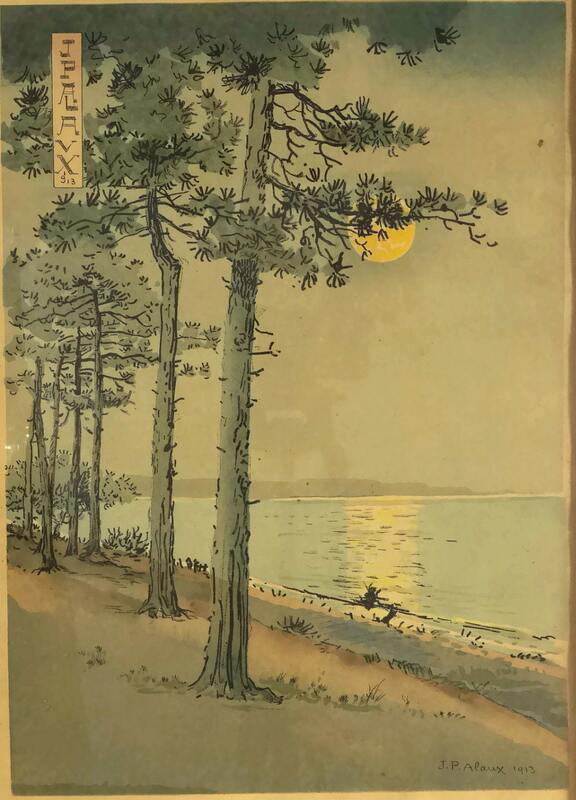 A beautiful antique print by the French artist Jean Paul Alaux (1876 - 1955) entitled "Dawn over the Arcachon Basin. 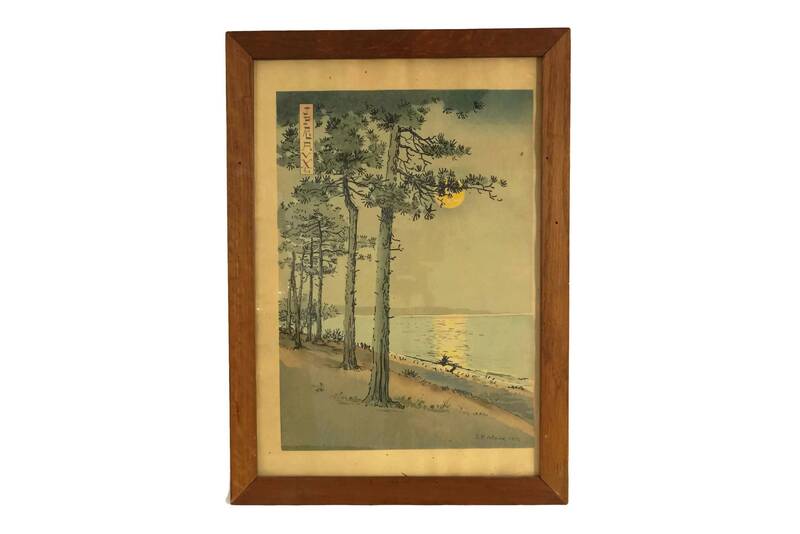 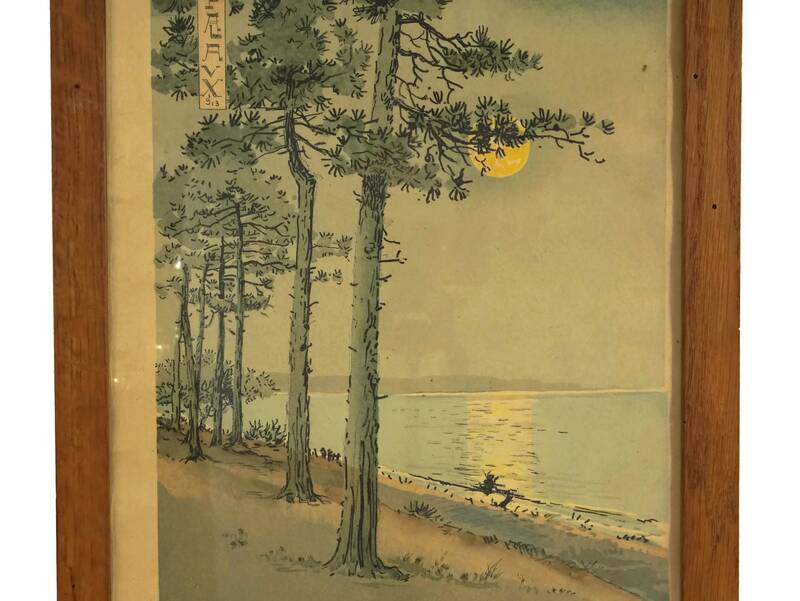 The print has been dated 1913 and once formed part of a collection of 20 polychrome prints by Alaux entitled "Visions japonaises du Bassin d'Arcachon" published by Devambez. 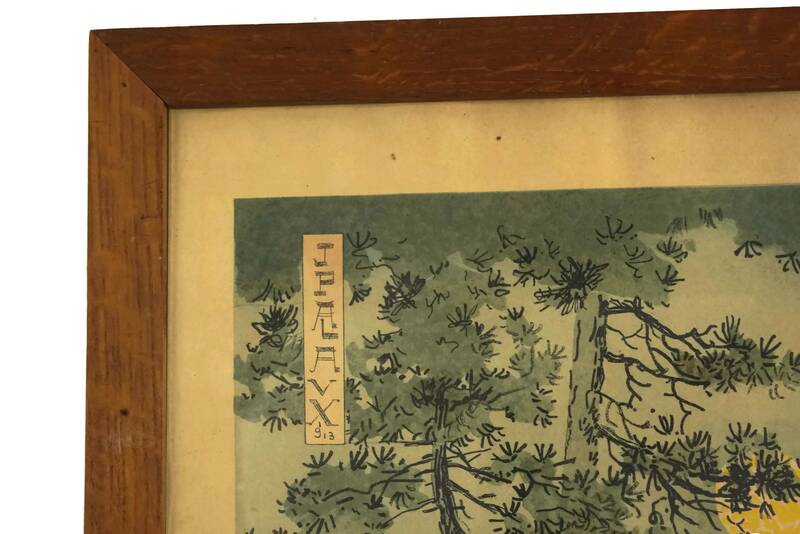 It features the printed signature of Alaux and date 1913. 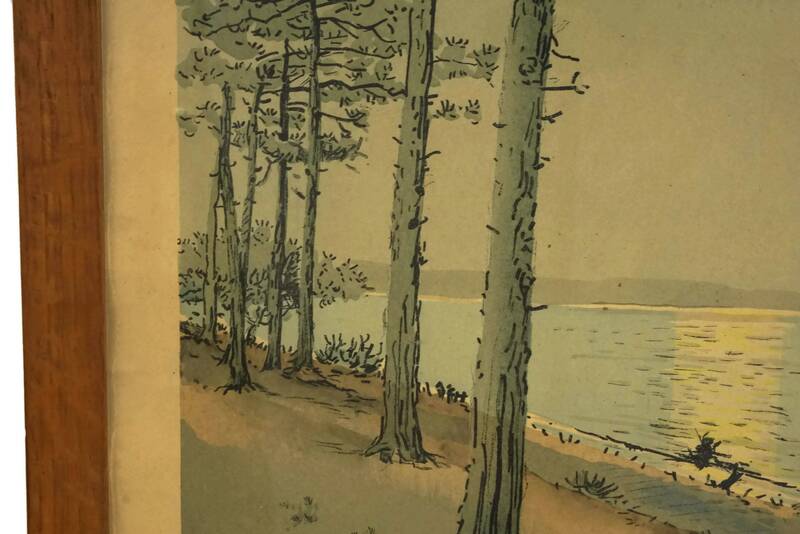 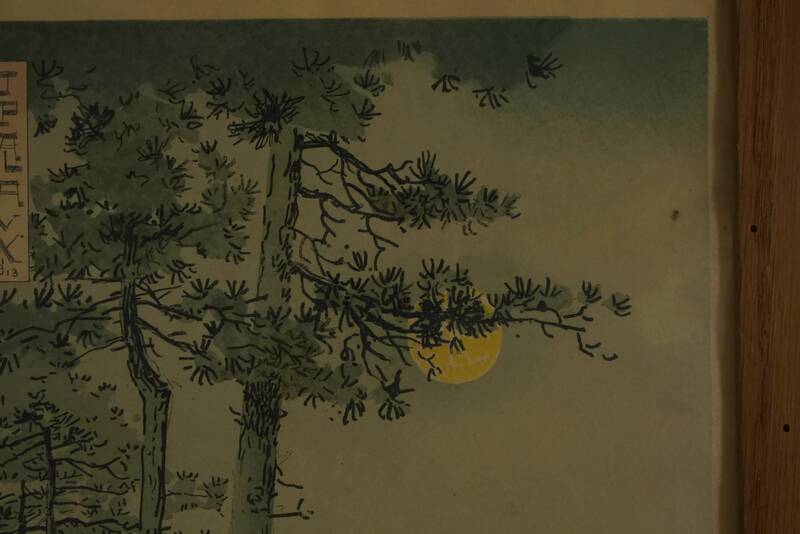 His art was inspired by antique Japanese prints and this landscape is strikingly beautiful. 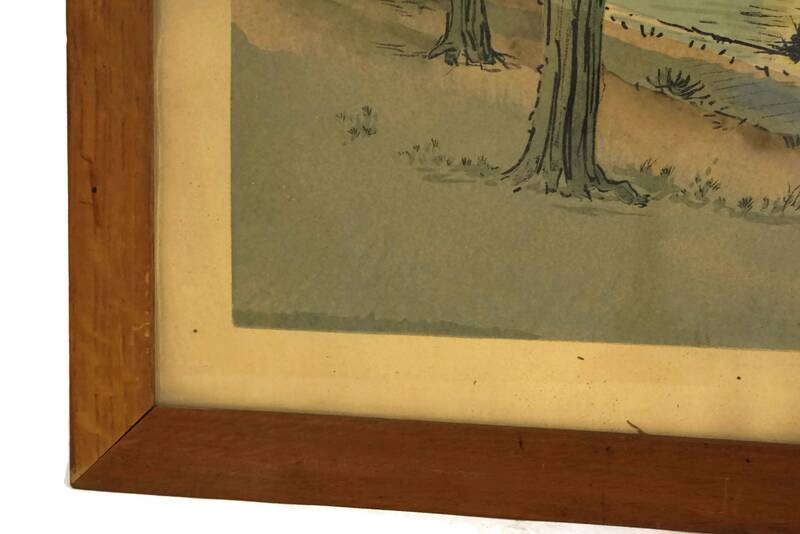 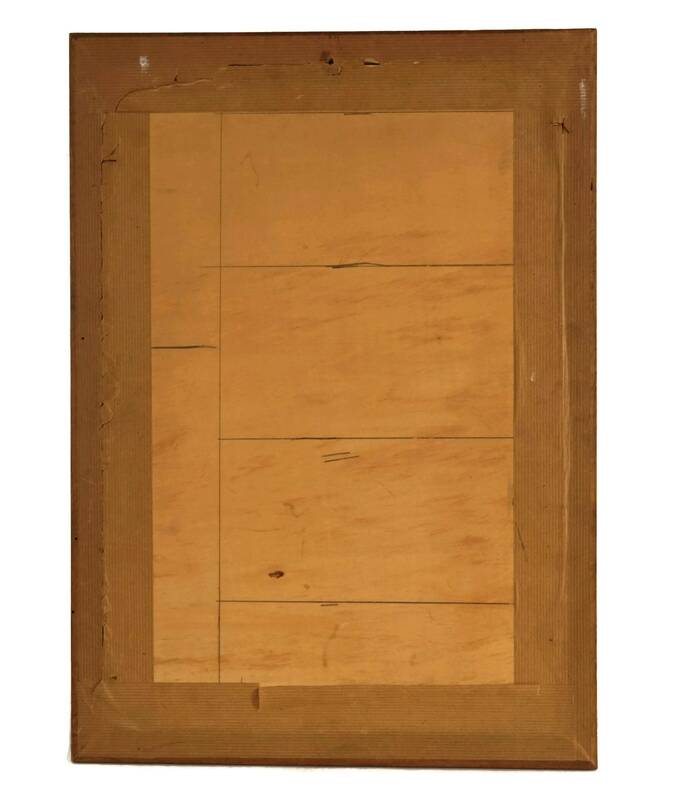 It has been framed under glass in a simple wooden frame. 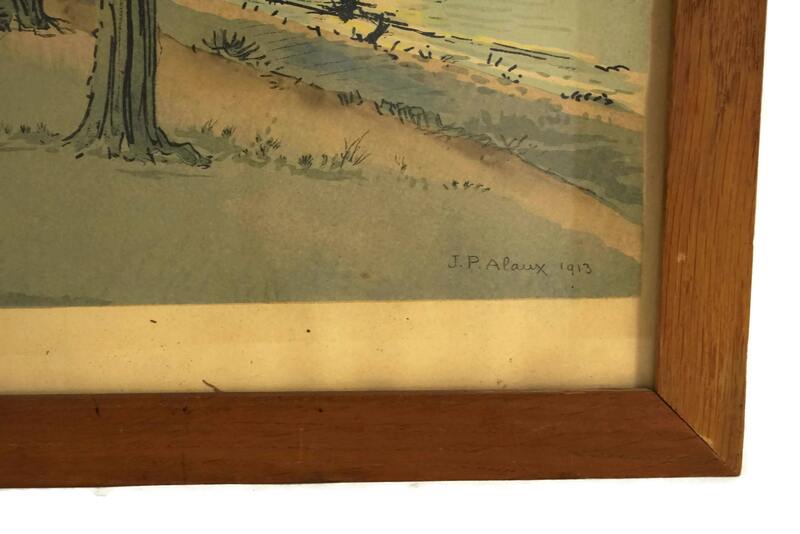 The print is in very good vintage condition with light signs of age and wear. 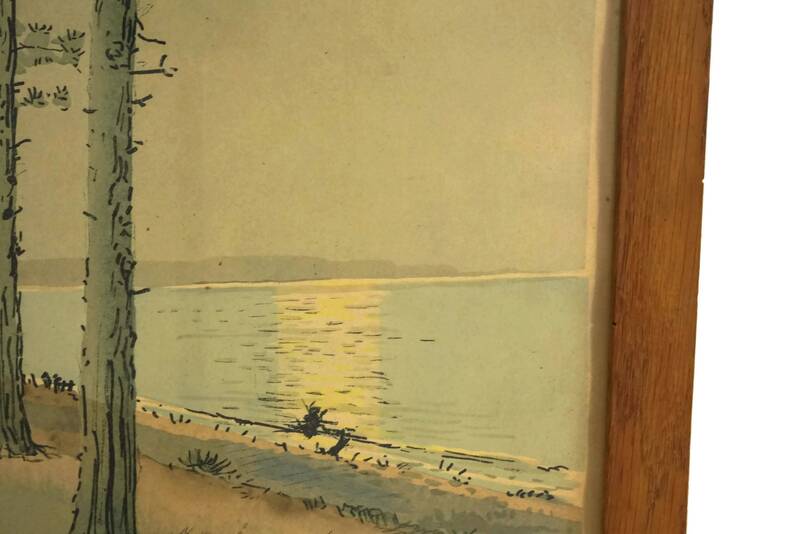 The paper has darkened over the years and there are light marks in places.